In the fall of 1983, a struggling singer from Ozone Park, Queens with audacious vintage style and a riot of candy-colored hair was about to go supernova in the new MTV-dominated music scene: Cyndi Lauper. She's So Unusual was just released and it blazed with a vivid kaleidoscope of styles including new wave, pop, post-punk, girl-group Motown and reggae. It was a perfect complement to Lauper's astonishingly supple voice and the irresistible vibrancy of the songs immediately endeared them to audiences all over the world. 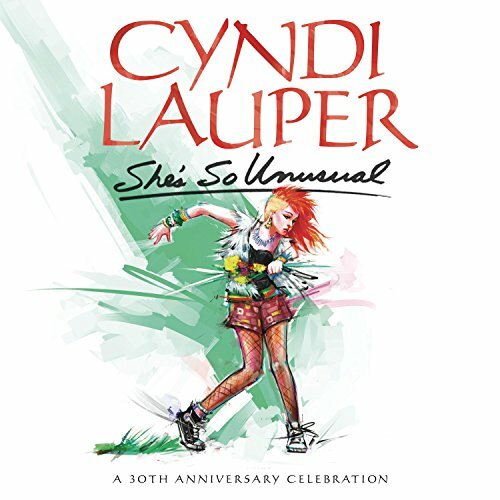 She's So Unusual: A 30th Anniversary Celebration is the ultimate tribute to one of the greatest albums of all time and this special vinyl edition includes the original album remastered PLUS 3 previously unreleased remixes.